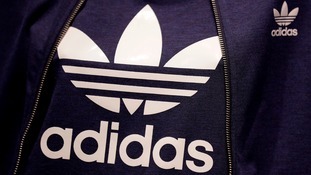 In a statement, Adidas said they were "incredibly sorry" for the "insensitive email subject line" and "deeply apologise for our mistake". The firefighter who carried Victoria McGrath to safety amid 2013's blasts led tributes after a crash that claimed her and a friend's lives. His apology marks the first time the 21-year-old ethnic Chechen, who did not speak in his own defense at trial, has addressed the court. It is hoped that the verdict to execute the surviving Boston Marathon bomber Dzhokhar Tsarnaev will close a "painful chapter", a US congressman has said. Nothing will give us back what was lost at the 2013 Boston Marathon, but may this verdict bring a painful chapter to its close. More: Boston bombings: Who were the victims? A woman who saw two sons lose limbs in the Boston marathon bomb attack says Dzhokhar Tsarnaev "destroyed my boys' lives" and her own. As Washington Correspondent Robert Moore reports, the trial has allowed survivors of the atrocity to see justice being done, though no-one is talking of closure. A number of survivors of the Boston Marathon bombing have reacted on Twitter to the death sentence handed to Dzokhar Tsarnaev. Sydney Corcoran, who suffered shrapnel wounds and nearly died from blood loss following the attack, tweeted that she and her mother - who was also near the finish line - would now "be able to move on". Adrienne Haslet, a dancer who lost part of her leg in the blast, tweeted that she was "thrilled with the verdict". Rebekah Gregory - another survivor who decided to amputate her leg after numerous operations linked to the attack - said she was "completely numb". Boston bombings: Who were the victims? Two women, Krystle Campbell and Lingzi Lu, died in the attack while Martin Richard, who was closest to the bomb, was just eight years old. Martin Richard, 8, was killed by a second bomb by the finish line. The family of an eight-year-old boy killed in the Boston Marathon bombing had urged prosecutors not to press for the death penalty against Dzhokar Tsarnaev, one of the two brothers to have orchestrated the attack. In an essay for the Boston Globe last month, Denise and Bill Richard wrote: "We are in favor of and would support the Department of Justice in taking the death penalty off the table in exchange for the defendant spending the rest of his life in prison without any possibility of release and waiving all of his rights to appeal." "We know that the government has its reasons for seeking the death penalty, but the continued pursuit of that punishment could bring years of appeals and prolong reliving the most painful day of our lives," they wrote. "We hope our two remaining children do not have to grow up with the lingering, painful reminder of what the defendant took from them, which years of appeals would undoubtedly bring." Bill Richard had testified for the prosecution during the trial, in which Tsarnaev was convicted on numerous criminal counts. He told the court how he had seen his son hit and killed by the explosion, which also damaged his wife's vision and injured his daughter Jane, now nine. Boston Mayor Marty Walsh has said those who died in the Boston bombings will "forever be remembered and honoured". In a statement, he thanked the jurors and judiciary for their service to the community and the country. He added: "I hope this verdict provides a small amount of closure to the survivors, families and all impacted by the violent and tragic events of the 2013 Boston marathon. "We will forever remember and honour those who lost their lives and were affected by those senseless acts of violence in our city. "Today, more than ever, we know that Boston is a city of hope, strength and resilience that can overcome any challenge." Members of the federal jury cried but Dzhokar Tsarnaev remained reactionless as the death sentence was read out in a federal court in Massachusets. Tsarnaev - wearing a dark sport coat with a light-coloured shirt - had his head bowed slightly, with his hands folded in front of him. Following the announcement, Judge George O'Toole described the jury as a "model for future juries". "You have sat through a trial that has had horrible images and poignant testimony," he added.